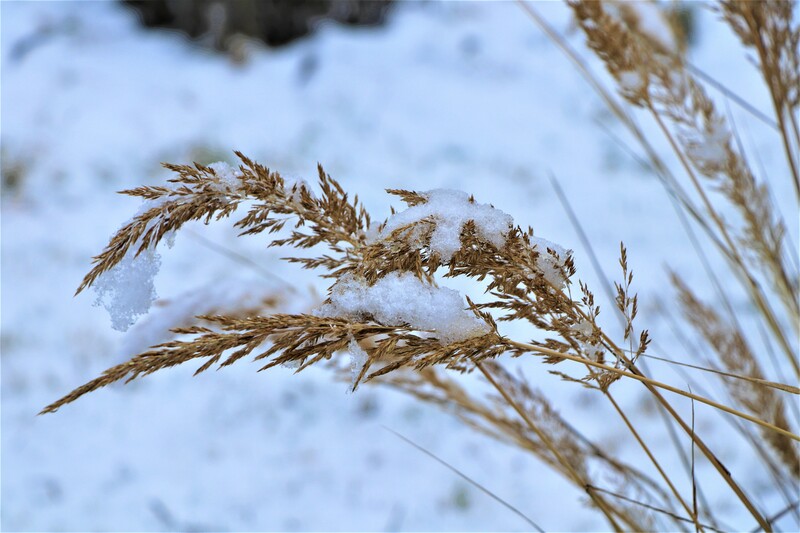 December Snow | The Happy Wonderer ~ ellen b. 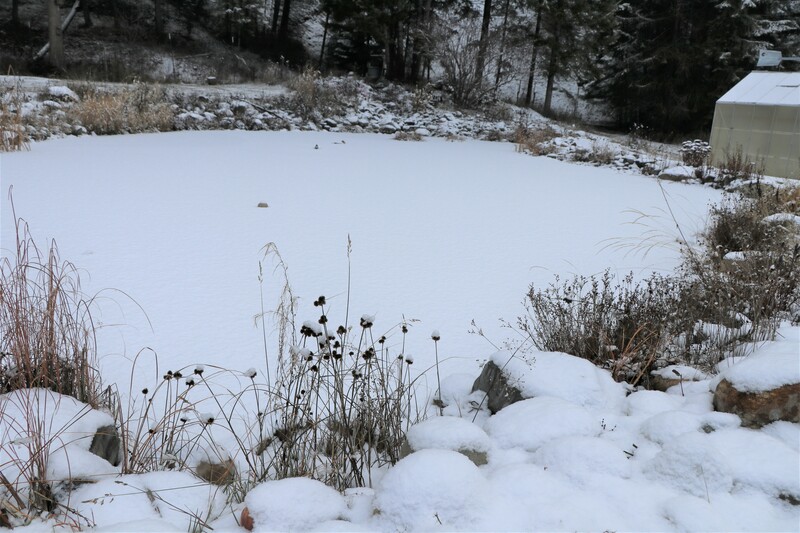 When we woke up on Monday morning we were surprised to see a fresh inch of snow on the ground. It’s actually warmer on this snow day then last week when we had clear skies and were in the 20’s. This mailbox in front of our home isn’t used by the mail service anymore. The previous owners qualified for door service because of some handicaps. They are talking about more snow on Tuesday. I forgot to show this cute card Addy’s mommy made using Addy’s footprint and handprints to form a reindeer. This was a card for Addy’s Auntie Laura. Those of you out there who create collages/mosaics, what site/program do you use? Since I’m working off my new laptop after Old Faithful died I don’t have Picasa anymore and am not sure where to go to create collages. Thank you in advance. Reminder: Tuesdays With Moisi will resume in the New Year. 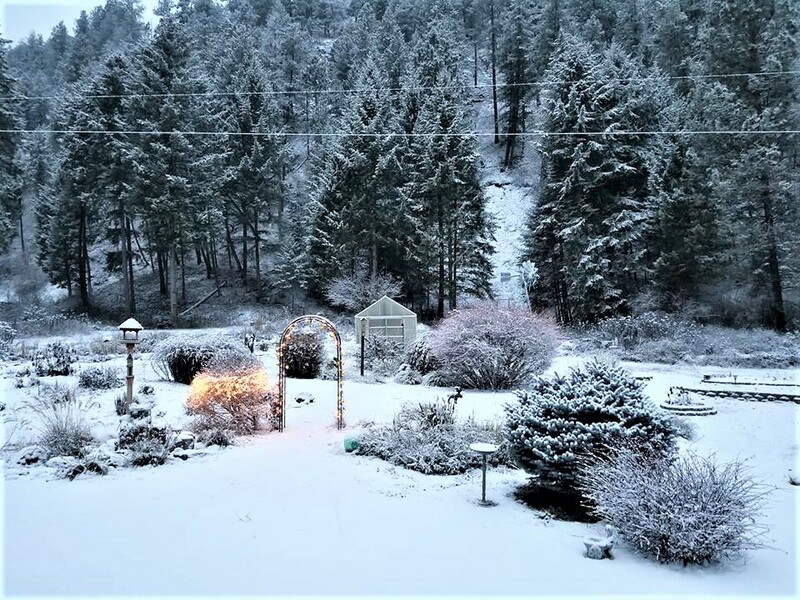 Posted on December 11, 2018 by Ellen •	This entry was posted in Snow, Weather and tagged Colville, December Snow. Bookmark the permalink. Hello Ellen, the Rudolph card is cute. 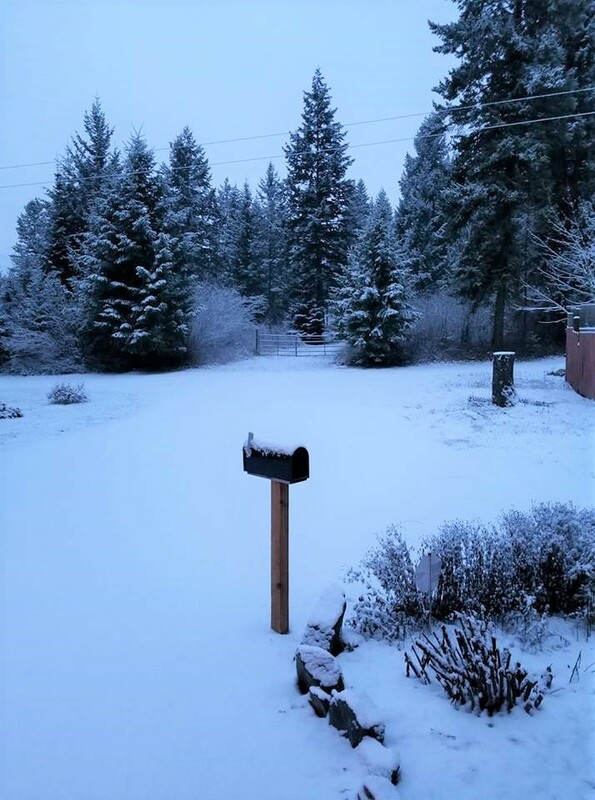 Your snowy yard looks pretty, lovely photos. Enjoy your day and week ahead! 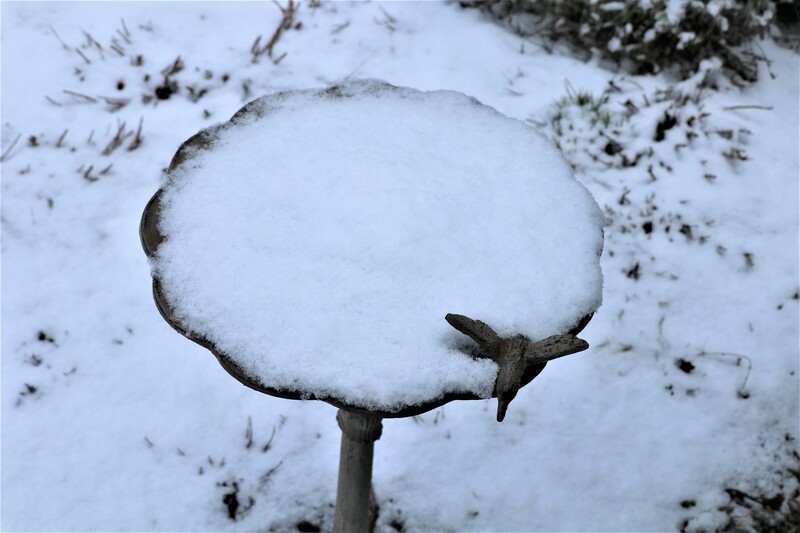 …a fresh snow is a special gift. Cute card and lovely photos. It snowed 14 inches followed by an ice topping but everyone/thing is safe and that’s what matters. Looking forward to Tuesdays with Moisi in the new year. I’m captivated by his life’s story. 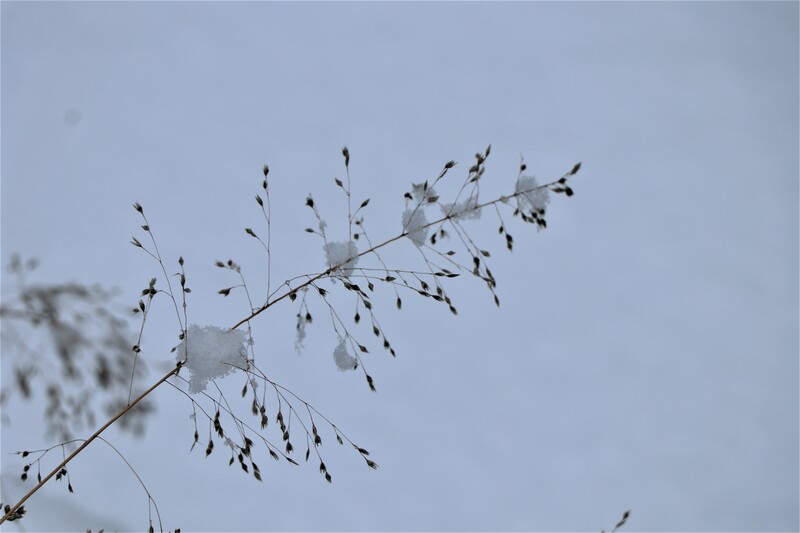 Your snowy pictures are beautiful. 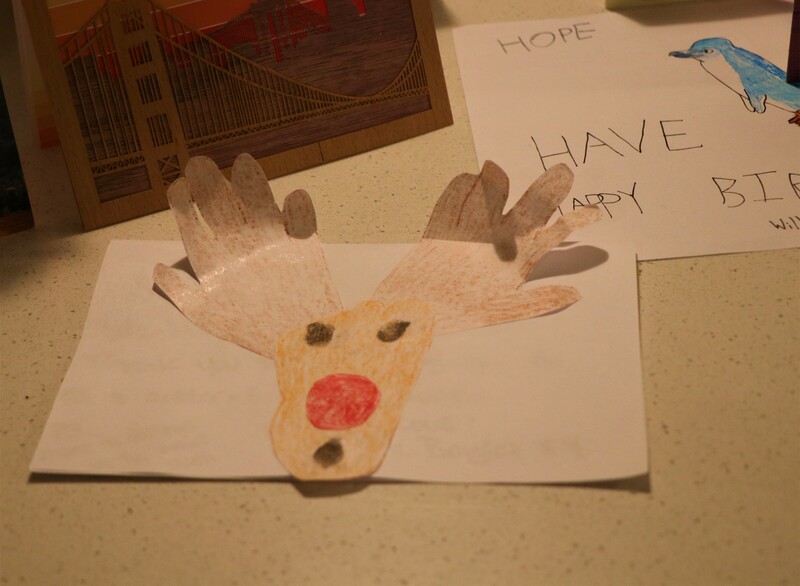 Love the reindeer card! I am still using Picasa but would love to hear other suggestions as well for collaging. 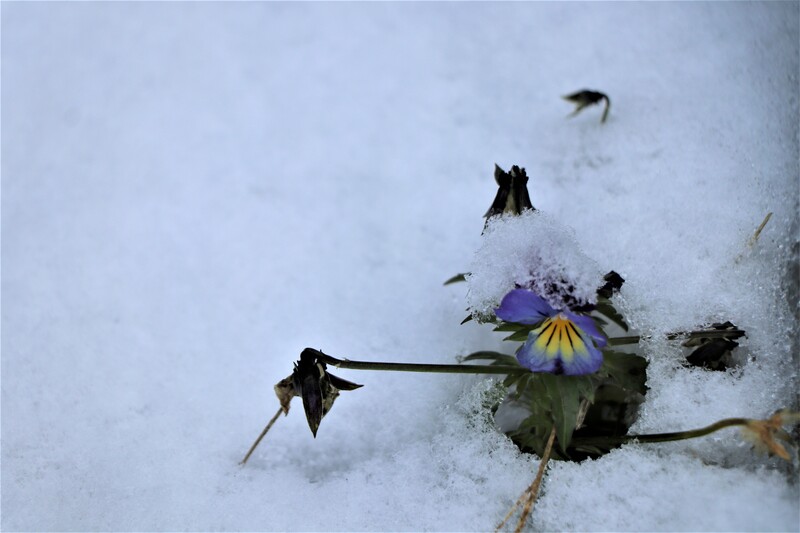 Ellen – your place is lovely in the snow – the shot with the pansy peeking out is precious. I use PicMonkey for my collages and it works well for me!